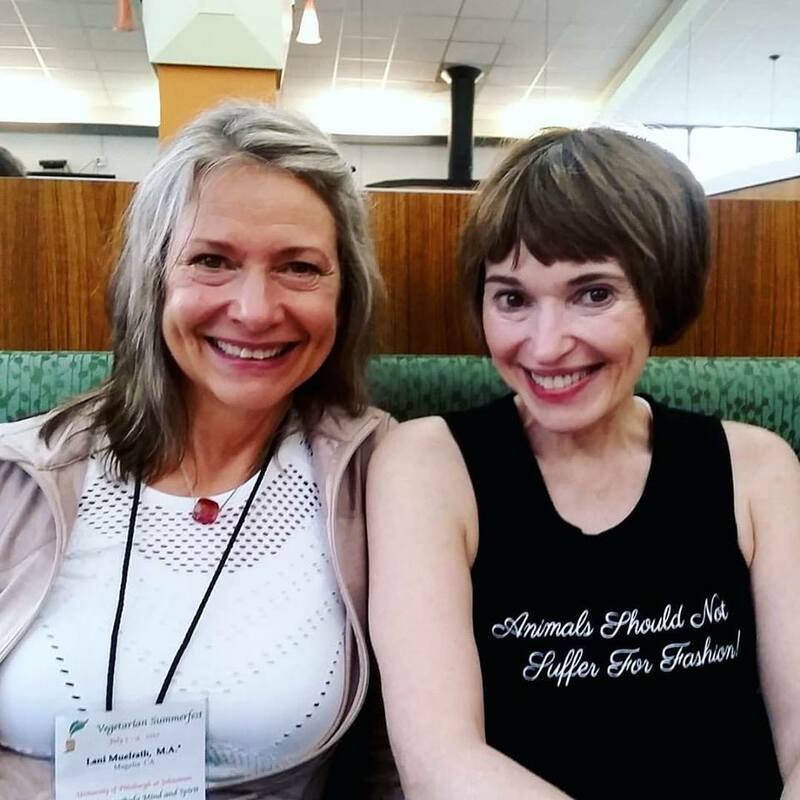 Lucky me – Victoria Moran and I planned a special session to present together. Joel Kahn, M.D. is the most energetic cardiologist I have ever encountered! I just returned from Vegetarian Summerfest in Johnstown, Pennsylvania. This is the fourth year that I’ve presented at this annual event, and in many ways this was my favorite trip ever. For in addition to the food, the friendships, and the veg-summer-camp feel of the five days, I premiered a new presentation that was, I am glad to say, well attended and quite enthusiastically received. Titled Get Stressed. Eat. Repeat. 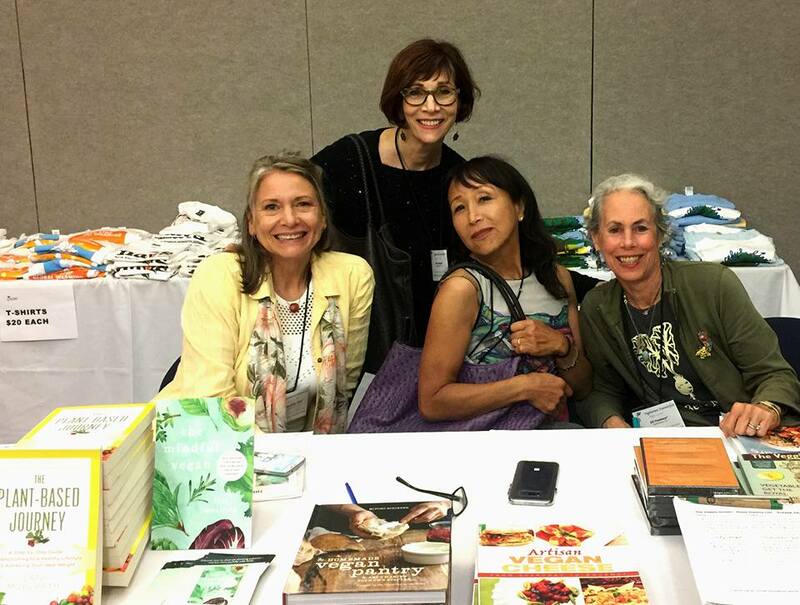 How to Break Stress Eating Habits and Cut Through Cravings By Simply Paying Attention, I was thrilled to see seats fill and immediate interest expressed by attendees as I passed them postcards with information about my new book, The Mindful Vegan. Though I didn’t ask for a show of hands, I was barely through the words “stress eating” before the room broke into laughter and hands shot into the air. Apparently, many of us have had (or know someone who has had!) these experiences. “Have you ever found yourself, walking in the door at the end of a hectic day, and before you knew it you were up to your elbow in a box of crackers or cookies?” (more laughter of recognition). Of course, as I confessed, I had just described what used to be me. For years, I considered myself an emotional overeater, addicted to sweets, perhaps even addicted to food. I couldn’t figure out why for years – decades even – though happily married, gainfully employed, and with a promising career – I would find myself driving around town eating chocolate. It’s not like I didn’t know what to do. As a kinesiology professor with an advanced degree in exercise science, I certainly know enough about exercise. 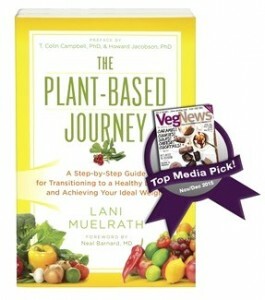 Having undertaken a study of nutrition since my first days as a vegetarian 45 years ago, I k new all about plant-based nutrition. But it wasn’t until I added one simple thing that I got the tools to get this monkey off my back – even allowing me to shed some 40-50 extra pounds (our body weight naturally fluctuates within a healthy range) I was carrying around. I took up a mindfulness practice. 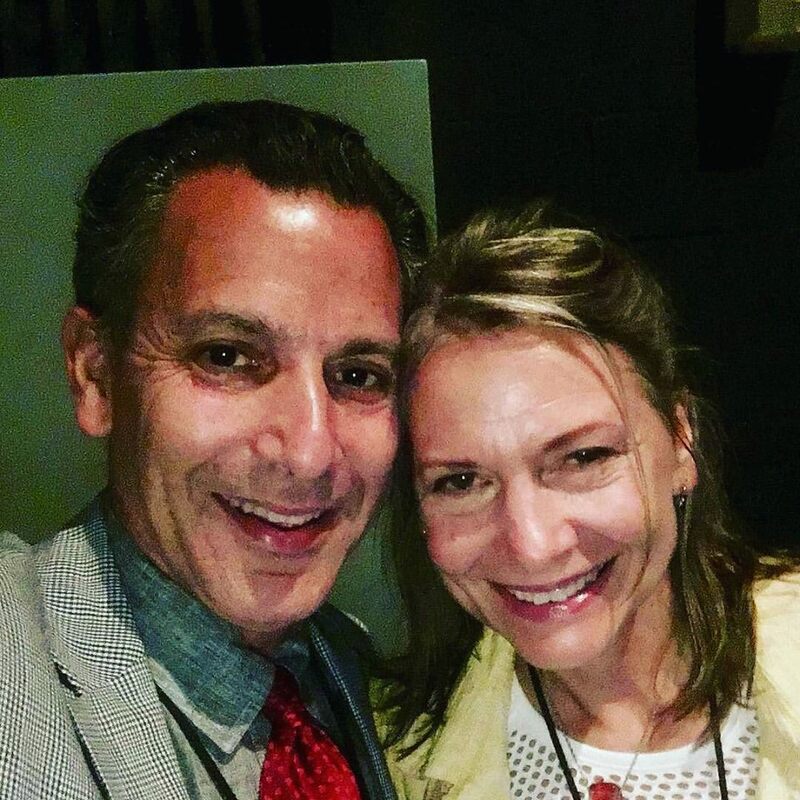 From there, I presented the extensive research around mindfulness practices and how it can transform all kinds of problems in the craving, stress eating, addictive response: binge eating, even smoking! With an arsenal of graphs and descriptive content, it was with great excitement and pure pleasure that I presented the stats, the potential, and the opportunity to approach in a whole new way these things that cause us such misery. 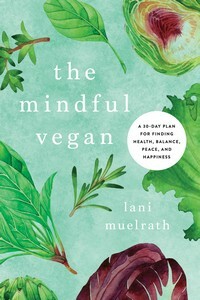 Don’t worry, the research and steps to successfully navigate cravings and stress responses without the use of food is all in The Mindful Vegan. But as the book is not out on the market yet, I wanted to give attendees – and you – something useful to walk away with. This is just a short grab of the long list of benefits that I have personally experienced. Sound interesting? What is YOUR Stress Reaction? Before we go on, I want to underscore that we all have our ways of dealing with disquieting states such as accumulated stress. Some people, such has yours truly, have historically been driven helplessly to food. I say historically for myself, because this is no longer the case for me. Some people channel stress into an obsession about the perfect exercise or diet program. Some people channel anxiety into being over productive at work. Some people deal with disquieting states by zoning out online, compulsively checking their social media feed, or email. Whatever the canary in your coal mine, mindfulness has proven to be an antidote for these unsettling states, offering a new avenue of response because in addition to mitigating stress, mindfulness reduces reactivity. It’s not that productivity or sticking to an exericse plan are problems themselves. It’s when we become compelled or obsessed – as if we are taking refuge in them from anxiety or inner discomfort – that we can be accelerating a problem. Or at best, continuing to spin in a cycle that is tainted with misery. Though mindfulness is rooted in regular time in formal practice (which I provide detailed instruction for in The Mindful Vegan) to give us some degree of mastery over our habits of thinking and reactivity – there is a simple four step process that you can implement to extract yourself enough from a craving or stress reaction cycle that can take you out of helpless habit into proactive control. In the workshop at Summerfest, I taught the mindfulness practice of R.A.I.N. as a tool. Yet to do so I guided attendees to experience some particular aspects of the stress response, and how it is hooked up with negative brain states. This is beyond the scope of a blog article, though is detailed deeply in The Mindful Vegan and at my live trainings. For the purposes of this article, however, I’d like to share another simple four step flow that will instantly connect you with awareness of your current states of mind at any point during the day. This is important because it is when we are disconnected from mounting stress, underlying anxiety, and caught in reactivity and automaticity that we get into trouble with habits we’ve developed to escape negative brain states, habits such as mindless snacking, stress eating, or obsessing about one thing or another. Mindfulness starts by intervening with simple awareness. S.T.O.P. is a very simple four step process for bringing yourself right into the present moment. Instead of being lost in thought, anxiously what-iffing about the future, or otherwise engaging in excessive thought chewing, you pause for presence of mind. This helps dissolve stress – long before you get to the end of your mental or emotional rope. S stands for – stop! Even if you are driving a car, you can do this step mentally. Cease participating in the endless mind wandering and mental preoccupation just for a few seconds. T stands for – take a breath or two. Taking a breath brings you right into the present moment, as breathing takes place in the present. You can breath for yesterday, or tomorrow, or the next minute for that matter! Arrive here, now. O stands for observe. Observe the physical sensations that reflect the emotional state or mood you are in right now. These sensations are taking place in the present moment, too. By being with them in real time – rather than avoiding any discomfort, suppressing tensions, or fighting cravings and stress that arise (yes, craving has a feel to it) – you open the door to managing them. You give yourself an opportunity to move from reactivity to skillful response. You can also reflect about what is on your mind, how easy it is to get lost in its stories – and note that thoughts are not facts. As a matter of fact thoughts change and morph from moment to moment, as do feelings. Notice any emotions present and how they feel in your body. If you can easily recognize any emotions: anger, fear, anxiety, craving – the research shows that simply naming emotions can modulate the fear circuit in the brain, resulting in a calming effect. P stands for – proceed. Proceed with your day, enjoying increased connectivity with your state of mind and body which is the first step toward removing the layers that obscure your natural state of equanimity. Simply being cognizant of your physical and mental state in this concious way leads to more skillful living. STOP, like anything else, becomes easier with practice. The more often you take even a few seconds for this process – and you can do the STOP process in five or six seconds – the more you will be more skillfully present throughout your day. This is because you are bringing yourself out of mind wandering and anxious thought – on purpose – bringing your into the present moment – the only one we really have. May STOP serve you well. 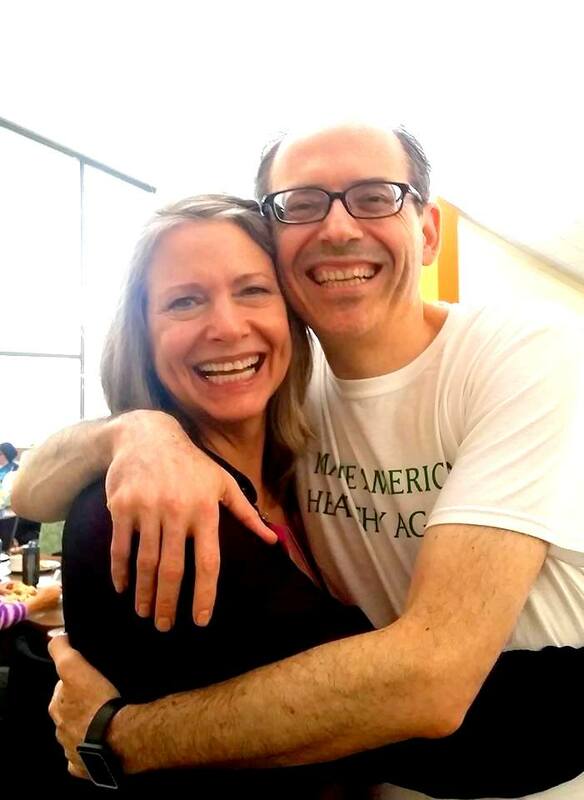 Just a reminder that The Mindful Vegan Virtual Retreat is coming up in October! As a thank you gift for pre-ordering The Mindful Vegan (along with a four minute guided meditation and short yoga video, both ready for you to download now), this is the perfect opportunity for you to ask questions about practicing simple tools such as S.T.O.P – as I will be on the webcast/phone with you live twice during the four days of the retreat. As it is a virtual retreat, you can participate from any place. I wanted to provide this opportunity – the retreat – to underscore and reinforce the importance of practicing these simple ways of bringing more mindfulness to your day – proven to dismantle stress and revolutionize habits of thinking and behaving. Hi Everyone! For some reason ‘comments’ and ‘reply’ aren’t showing up here. I am so disappointed as I am looking forward to conversation on this topic! Just sent a message to my web team and hope for resolution. Yay! It looks like my illustrious web team was able to fix the bug in the comments portion of this article. I apologize to all who wrote me yesterday saying they tried to leave a comment and couldn’t! The good news is that the fix is in for comments moving forward, and I am sorry to have missed so many of the comments that might have been left here that come to me via email instead. Thank you for writing to me, and thanks for your patience, everyone! Hmmmm. You’ve given me some interesting avenues to pursue here. A timely read for me. Thanks Lani! Appreciate you sharing your wisdom. Mary, I love the way you put that – ‘avenues to pursue’! So well put and I just may borrow that for the future. Thank you so much for coming by and for leaving your thoughts! Lani, I love this article and it feels like you are just talking to me! I can relate so completely with this. Thank you for being unafraid to approach these issues, so many places just focus on what you should eat like we don’t already pretty much know what to eat, as I have heard you say in the past. Sure, newcomers to vegan food or plantbased eating might need the basics, but look at all of us who have that down and still struggle. 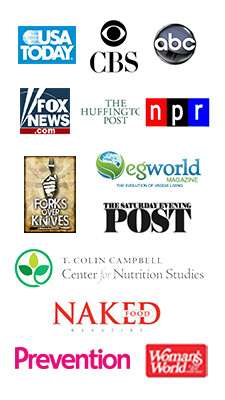 This tells me more about your new book too and I really am very excited about Mindful Vegan coming out. The Virtual Retreat is a fabulous idea and I’m all signed up. Summerfest looks like it was fun! Thanks for sharing a few of the photos so those of us who couldn’t make it get a glimpse. Sharon, you say ‘talking just to me…’ – honestly, you could not have left higher praise! This means so much to me, and I am very grateful to you for sharing your response. Glad you are signed up for the Virtual Retreat and I think it is going to be splendid! Some time to converse and support, and most of all diving in right away to all of this as a team at one time. Think of the forces!